In England everything stops for tea, and traditionally cake is served. We believe a classic English cake is one of the world's great culinary inventions. Our mission is to bring these delicacies to food lovers all over the world, as fresh as the day they were baked. 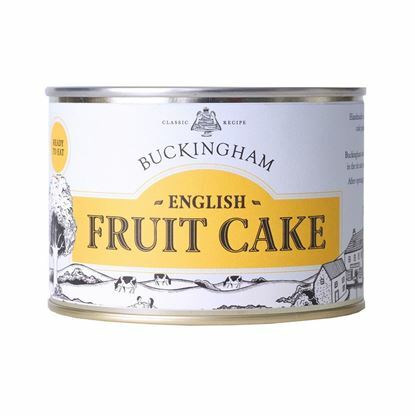 Buckingham Fruit Cake select the most quintessential English cake recipes, perfect every detail, bake the cakes in a modern factory, pack them in their own elegant tins, and then ship them to wherever there are cake aficionados waiting for their favourite English delicacy. 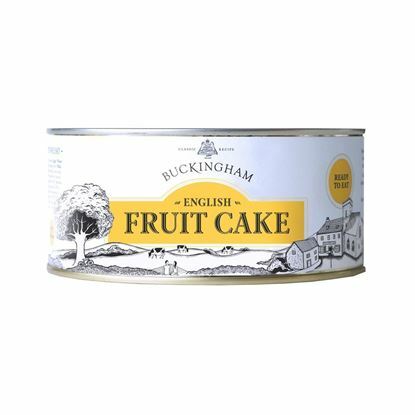 Buckingham Fruit Cake is a ready-to-eat, traditional English cakes, baked to classic recipes. Distinctively packaged for long shelf-life and strong gift appeal. 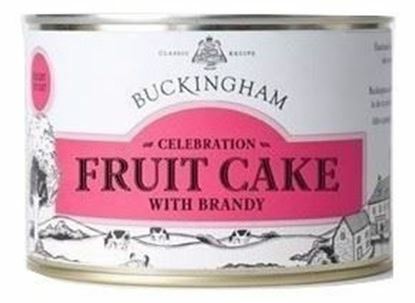 FRUIT CAKE: Originally called ‘plum cake’ its origins in England date back to the 16th century. Richly flavoured, it is made with a mix of dried vine fruits (sultanas, currants and raisins), candied or glace fruits (typically cherries, orange and lemon peel), flour, eggs, butter and brown sugar. In England it’s popular all year round as a cake to eat with ‘afternoon tea’. It is also traditionally served at weddings and at Christmas, usually with a coating of marzipan and icing. Buckingham cake is the proper old-fashioned recipe with no artificial colours or flavours. READY TO EAT: Each cake is handmade, placed in a paper liner and baked in its own tin. It is then vacuum-sealed, capturing all its flavour, aroma and freshness. The cake remains deliciously soft, moist and springy, fresh as the day it was baked. Ready to be enjoyed anywhere in the world. LONG SHELF-LIFE: The elegant tin not only provides a long shelf life, it also gives strong protection during shipping, storage and final delivery whatever the climatic conditions encountered on its journey. The beautiful labels are available in different languages. 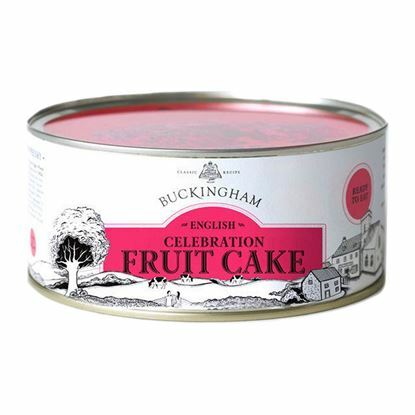 Each tin comes with a re-sealable plastic lid, so that after the tin has been opened it can be re-sealed by pushing the plastic lid back on, giving a ready-made cake tin. This will keep the cake fresh for up to 14 days after opening. 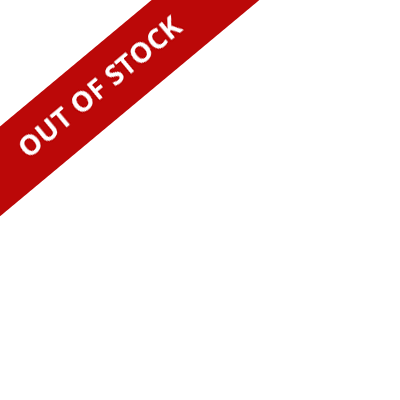 RETAIL MARKET: Ideal for premium retailers, department stores, e-sellers, caterers, hampers and the gift trade. England’s famous fruit cake, packed with juicy sultanas, currants, raisins, tangy mixed peel and sumptuous glace cherries. One slice and you'll be back for more. A deliciously dark and moist rich fruit cake infused with the aromatic flavours of a fine blend of whisky from selected distilleries in Scotland.